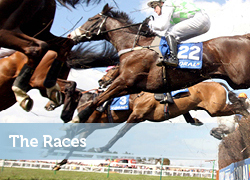 THE wide open space of the centre of the course at Ayr Racecourse is ideal to play host to events that would be too large for other locations. Marquees of all shapes and sizes can be erected within the grounds and designed to a client’s requirements. Staffed by our highly trained in-house team we are confident we can achieve your dreams and stage a never to be forgotten event. Expert sound, light and audio visual engineers provide the technology to make the event that bit more special. And remember we can call on interior designers of the highest standing to create your own little ’palace’ within the Marquee. We chose Ayr Racecourse for our first SAS Family Day. Everything was brilliant and the staff couldn’t do enough for us. The food was fabulous and the majority of my colleagues commented on what a great venue and outdoor space it was.Everyone I am glad to say went home very happy.